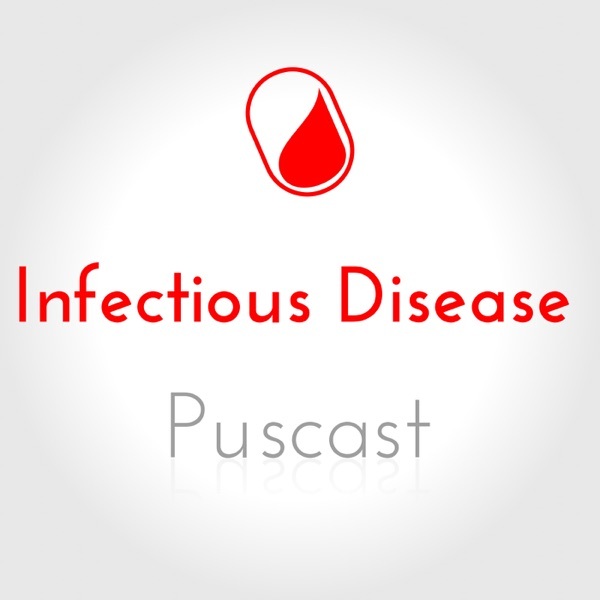 A podcast review of the Infectious Disease literature with commentary. Puscast: April 1 to 15, 2019. Puscast: March 15 to 31, 2019. Puscast: March 1 to 15, 2019. Puscast: February 15 to 28, 2019. Puscast: February 1 to 15, 2019. Puscast: January 15 to 31, 2019. Puscast: January 1 to 15, 2019. Puscast: December 15 to 31, 2018. Puscast: November 15 to 30, 2018. Puscast: November 1 to 15, 2018. Puscast: October 15 to 31, 2018. Puscast: October 1 to 15, 2018. 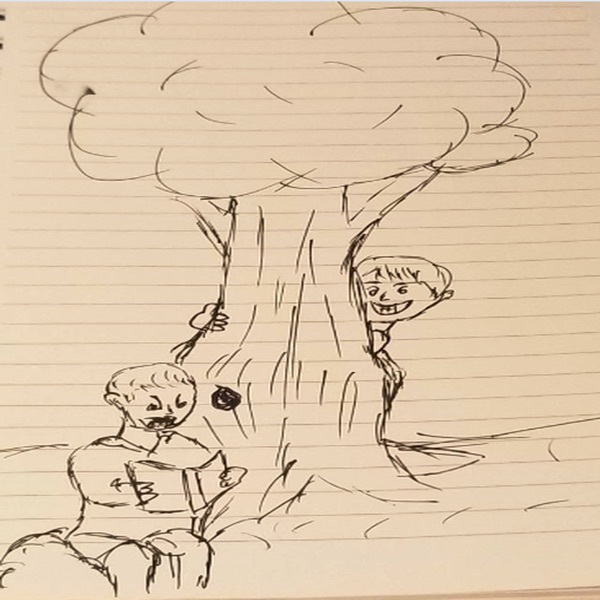 Puscast: September 15 to 30, 2018. Puscast: September 1 to 15, 2018. Puscast: August 1 to 15, 2018. Puscast: July 16 to 31, 2018. Puscast: July 1 to 15, 2018. Puscast: June 15 to 30, 2018. Puscast: June 1 to 15, 2018. Puscast: May 15 to 31, 2018. Puscast: May 1 to 15, 2018. Puscast: April 15 to 31, 2018. Puscast: April 1 to 15, 2018. Puscast: March 15 to 31, 2018. Puscast: March 1 to 15, 2018. Puscast: February 15 to 28, 2018. Puscast: February 1 to 15, 2018. Puscast: January 15 to 31, 2018. Puscast: January 1 to 15, 2018. Puscast: December 15 to 31, 2017. Puscast: December 1 to 15, 2017. Puscast: November 15 to 30, 2017. Puscast: November 1 to 15, 2017. Puscast: October 1 to 31, 2017. Puscast: September 15 to 30, 2017. Puscast: September 1 to 15, 2017. Puscast: August 15 to 31, 2017. Puscast: August 1 to 15, 2017. Puscast: July 15 to 31, 2017. Puscast: July 1 to 15, 2017. Puscast: June 15 to 31, 2017. Puscast: June 1 to 15, 2017. Puscast: May 15 to 31, 2017. Puscast: May 1 to 15, 2017. Puscast: April 15 to 30, 2017. Puscast: April 1 to 15, 2017. Puscast: March 15 to 31, 2017. Puscast: March 1 to 15, 2017. Puscast: Febuember 15 to 31, 2017. Puscast: Febuember 1 to 15, 2017. Puscast: Januember 15 to 31, 2017. Puscast: Januember 1 to 15, 2017. Puscast: December 15 to 31, 2016. Puscast: December 1 to 15, 2016. Puscast: November 15 to 30, 2016. Puscast: November 1 to 15, 2016. Puscast: October 15 to 31, 2016. Puscast: October 1 to 15, 2016. Puscast: September 15 to 30, 2016. Puscast: September 1 to 15, 2016. Puscast: August 15 to 31, 2016. Puscast: August 1 to 15, 2016. Puscast: July 15 to 31, 2016. Puscast: July 1 to 15, 2016. Puscast: June 15 to 31, 2016. Puscast: June 1 to 15, 2016. Puscast: May 15 to 31, 2016. Puscast: May 1 to 15, 2016. Puscast: April 15 to 30, 2016. Puscast: April 1 to 15, 2016. Puscast: March 15 to 31, 2016. Puscast: March 1 to 15, 2016. Puscast: February 15 to 29, 2016. Puscast: February 1 to 14, 2016. Puscast: January 15 to 31, 2016. Puscast: January 1 to 15, 2016. Puscast: December 15 to 31, 2015. Puscast: December 1 to 15, 2015. Puscast: November 15 to 30, 2015. Puscast: November 1 to 15, 2015. Puscast: October 1 to 15, 2015. Puscast: September 15 to 30, 2015. Puscast: September 1 to 15, 2015. Puscast: August 15 to 31, 2015. Puscast: August 1 to 15, 2015. Puscast: July 15 to 31, 2015. Puscast: July 1 to 15, 2015. Puscast: June 15 to 30, 2015. Puscast: June 1 to 15, 2015. Puscast: May 15 to 31, 2015. Puscast: May 1 to 15, 2015. Puscast: April 15 to 30, 2015. Puscast: April 1 to 15, 2015. Puscast: March 15 to 31, 2015. Puscast: March 1 to 15, 2015. Puscast: February 15 to 28, 2015. Puscast: February 1 to 15, 2015. Puscast: January 15 to 31, 2015. Puscast: December 15 to 31, 2014. Puscast: December 1 to 15, 2014. Puscast: November 15 to 30, 2014. Puscast: November 1 to 15, 2014. Puscast: October 15 to 31, 2014. Puscast: October 1 to 15, 2014. Puscast: September 15 to 30, 2014. Puscast: September 1 to 15, 2014. Puscast: August 15 to 31, 2014. Puscast: August 1 to 15, 2014. Puscast: July 15 to 31, 2014. Puscast: July 1 to 15, 2014. Puscast: June 15 to 30, 2014. Puscast: June 1 to 15, 2014. Puscast: May 15 to 31, 2014. Puscast: May 1 to 15, 2014. Puscast: April 15 to 30, 2014. Puscast: April 1 to 15, 2014. Puscast: Mar 15 to 31, 2014. Puscast: Mar 1 to 15, 2014. Puscast: Feb 15 to 28, 2014. Puscast: Feb 1 to 15, 2014. Puscast: Jan 15 to 31, 2014. Puscast: Jan 1 to 15, 2014. Puscast: Dec 15 to 31, 2013. Puscast: Dec 1 to 15, 2013. Puscast: Nov 15 to 30, 2013. Puscast: Nov 1 to 15, 2013. Puscast: Oct 15 to 31, 2013. Puscast: Oct 1 to 15, 2013. Puscast: Sep 15 to 31, 2013. Puscast: Sep 1 to 15, 2013. Puscast: Aug 15 to 31, 2013. Puscast: Aug 1 to 15, 2013. Puscast: July 15 to 31, 2013. Puscast: July 1 to 15, 2013. Puscast: June 15 to 30, 2013. Puscast: June 1 to 15, 2013. Puscast: May 15 to 31, 2013. Puscast: May 1 to 15, 2013. Puscast: April 15 to 31, 2013. Puscast: April 1 to 15, 2013. Puscast: March 15 to 31, 2013. Puscast: March 1 to 15, 2013. Puscast: Feb 15 to 28, 2013. Puscast: Feb 1 to 15, 2013. Puscast: Jan 15 to 31, 2013. Puscast: Jan 1 to 15, 2013. Puscast: Dec 15 to 31, 2012. Puscast: Dec 1 to 15, 2012. Puscast: Nov 15 to 30, 2012. Puscast: Nov 1 to 15, 2012. Puscast: Oct 15 to 31, 2012. Puscast: Oct 1 to 15, 2012. Puscast: September 15 to 31, 2012. Puscast: September 1 to 15, 2012. Puscast: August 15 to 31, 2012. Puscast: August 1 to 15, 2012. Puscast: July 15 to 31, 2012. Puscast: July 1 to 15, 2012. Puscast: June 15 to 31, 2012. Puscast: June 1 to 15, 2012. Puscast: May 15 to 31, 2012. Puscast: May 1 to 15, 2012. Puscast: April 15 to 30, 2012. Puscast: April 1 to 15, 2012. Puscast: March 15 to 31, 2012. Puscast: March 1 to 15, 2012. Puscast: Feb 15 to 28, 2012. Puscast: Feb 1 to 15, 2012. Puscast: Jan 15 to 31, 2012. Puscast: Jan 1 to 15, 2012. Puscast: Dec 15 to 31, 2011. Puscast: Dec 1 to 15, 2011. Puscast: Nov 15 to 30, 2011. Puscast: Nov 1 to 15, 2011. Puscast: Oct 15 to 31, 2011. Puscast: Oct 1 to 15, 2011. Puscast: Sep 15 to 30, 2011. Puscast: Sep 1 to 15, 2011. Puscast: August 15 to 31, 2011. Puscast: August 1 to 15, 2011. Puscast: July 15 to 31, 2011. Puscast: July 1 to 15, 2011. Puscast: June 15 to 30, 2011. Puscast: June 1 to 15, 2011. Puscast: May 15 to 30, 2011. Puscast: May 1 to 15, 2011. Puscast: April 15 to 30, 2011. Puscast: April 1 to 15, 2011. Puscast: March 15 to 31, 2011. Puscast: March 1 to 15, 2011. Puscast: February 15 to 28, 2011. Puscast: February 1 to 15, 2011. Puscast: January 15 to 31, 2011. Puscast: January 1 to 15 2011. Puscast: December 15 to 31, 2010. Puscast: December 1 to 15, 2010. Puscast: November 15 to 31, 2010. Puscast: November 1 to 15, 2010. Puscast: Rocktober 15 to 31, 2010. Puscast: Rocktober 1 to 15, 2010. Puscast: September 15 to 30, 2010. Puscast: September 1 to 15, 2010. Puscast: August 15 to 31, 2010. Puscast: August 1 to 15, 2010. Puscast: July 15 to 31, 2010. Puscast: July 1 to 15, 2010. Puscast: June 15 to 31, 2010. Puscast: June 1 to 15, 2010. Puscast: May 15 to 31, 2010. Puscast: May 01 to 15, 2010. Puscast: April 15 to 31, 2010. Puscast: April 1 to 15, 2010. Puscast: March 15 to 31, 2010. Puscast: March 1 to 15, 2010. Puscast: February 15 to 28, 2010. Puscast: February 01 to 15, 2010. Puscast: Januember 15 to 31, 2010. Puscast: Januember 1 to 15, 2010. Puscast: December 15 to 31, 2009. Puscast: December 1 to 15, 2009. Puscast: November 15 to 31 2009. Puscast: November 1 to 15, 2009. Puscast: Rockober 15 to 31, 2009. Puscast: Rockober 1 to 15, 2009. Puscast: September 15 to 30, 2009. Puscast: September 1 to 15, 2009. Puscast: August 15 to 31, 2009. Puscast: August 1 to 15, 2009. Puscast: July 15 to 31, 2009. Puscast: July 1 to 15, 2009. Puscast: June 15 to 30, 2009. Puscast: June 1 to 15, 2009. Puscast: May 15 to 31 2009. Puscast: May 1 to 15 2009. Puscast: April 15 to 30 2009. Puscast: April 1 to 15 2009. Puscast: March 15 to 31 2009. Puscast: Mar 1 to 15 2009. Puscast: Feb 15 to 31 2009. Puscast: Feb 1 to 14 2009. Puscast: Jan 15 to 31 2009. Puscast: Jan 1 to 15, 2009. Puscast: Dec 15 to 31, 2008. Puscast: Dec 1 to 15, 2008. Puscast: Nov 15 to 30, 2008. Puscast: Nov 1 to 15, 2008. Puscast: Oct 15 to 31, 2008. Puscast: Oct 1 to 15, 2008. Puscast: Sept 15 to 30, 2008. Puscast: Sept 1 to 15, 2008. Puscast: August 15 to 31, 2008. Puscast: August 1 to 15, 2008. Puscast: July 15 to 31, 2008. Puscast: July 1 to 15, 2008. Puscast: June 15 to 31, 2008. Puscast: June 1 to 15, 2008. Puscast: May 15 to 31, 2008. Puscast: May 1 to 15, 2008. Puscast: Apr 15 to 31, 2008. Puscast: Apr 1 to 15, 2008. Puscast: Mar 15 to 31, 2008. Persiflagers Infectious Disease Podcast: Mar 1 to 15, 2008. Persiflagers Infectious Disease Podcast: Feb 15 to 29, 2008. Persiflagers Infectious Disease Podcast: Feb 1 to 15, 2008. Persiflagers Infectious Disease Podcast: Jan 15 to 31, 2008. Persiflagers Infectious Disease Podcast: Jan 1 to 15, 2008. Reposted 1/23/8. Persiflagers Infectious Disease Podcast: Dec 15 to 31 2007. Persiflagers Infectious Disease Podcast: Dec 1 to 15 2007. Persiflagers Infectious Disease Podcast: Nov 15 to 31, 2007. Persiflagers Infectious Disease Podcast: Nov 1 to 15, 2007. Persiflagers Infectious Disease Podcast: Oct 15 to 31, 2007. Persiflagers Infectious Disease Podcast: Oct 1 to 15, 2007. Persiflagers Infectious Disease Podcast: Sept 15 to 30, 2007. Persiflagers Infectious Disease Podcast: Sept 1 to 15, 2007. Persiflagers Infectious Disease Podcast: Aug 15 to 31, 2007. Persiflagers Infectious Disease Podcast: Aug 1 to 15, 2007. Persiflagers Infectious Disease Podcast: July 15 to 31, 2007. Persiflagers Infectious Disease Podcast: July 1 to 15, 2007. Persiflagers Infectious Disease Podcast: June 15 to 30, 2007. Persiflagers Infectious Disease Podcast: June 1 to 15, 2007. Persiflagers Infectious Disease Podcast: May 15 to 31, 2007. Persiflagers Infectious Disease Podcast: May 1 to 15, 2007. Persiflagers Infectious Disease Podcast: April 1 to 15, 2007. Part B.
Persiflagers Infectious Disease Podcast: April 15 to 31, 2007. Persiflagers Infectious Disease Podcast: April 1 to 15, 2007. Part A.
Persiflagers Infectious Disease Podcast: March 15 to 31, 2007. Part B.
Persiflagers Infectious Disease Podcast: March 15 to 31, 2007. Part A.
Persiflagers Infectious Disease Podcast: March 1 to 15, 2007. Part B.
Persiflagers Infectious Disease Podcast: March 1 to 15, 2007. Part A.